Here are a few highlights from the past several weeks. 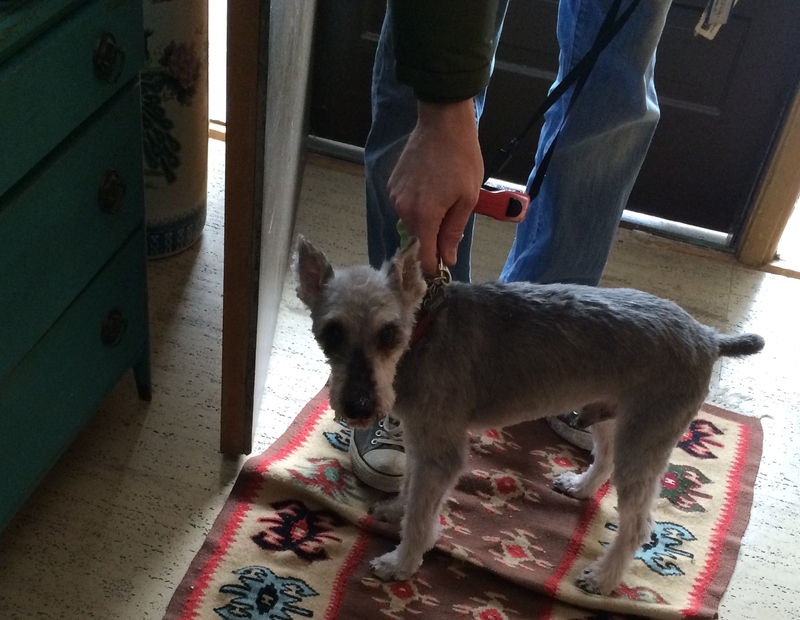 Tyler back from the groomers and excited to get reacquainted with all the parts of himself that have been too fluffy to lick for a while. Photo by Holly Tierney-Bedord. All rights reserved. 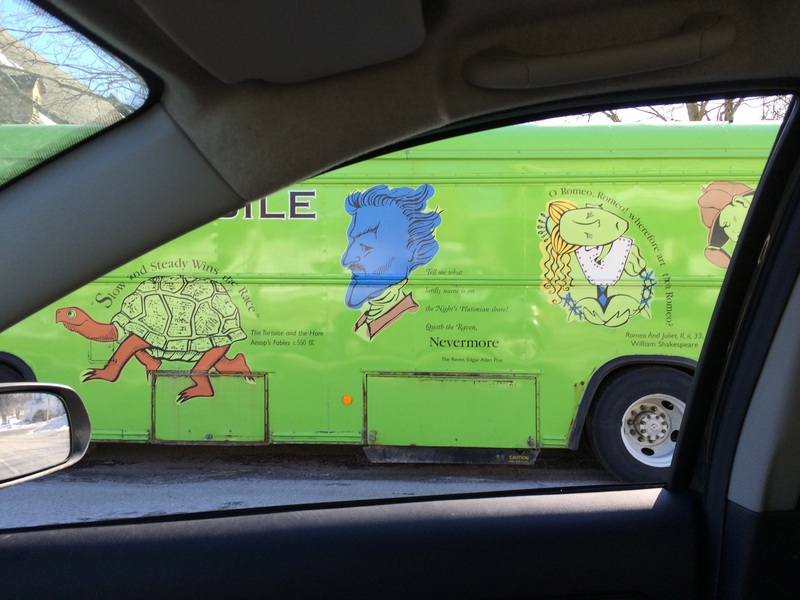 The bookmobile! Photo by Holly Tierney-Bedord. All rights reserved. 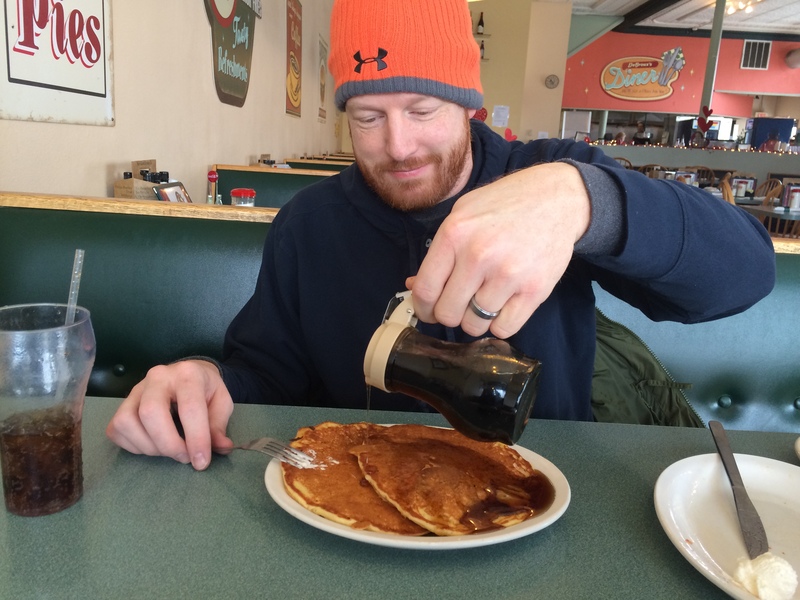 Bill enjoying pancakes. Photo by Holly Tierney-Bedord. All rights reserved. 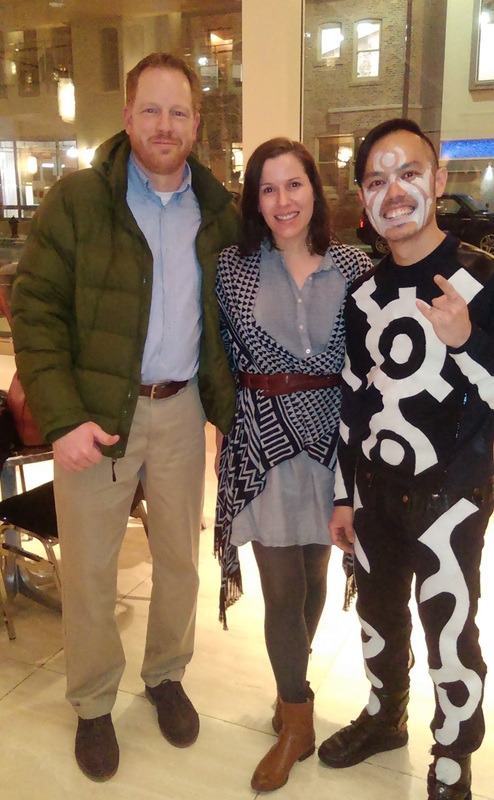 Getting our picture taken with one of the guys from Blue Man Group. Photo by a kind stranger. All rights reserved. 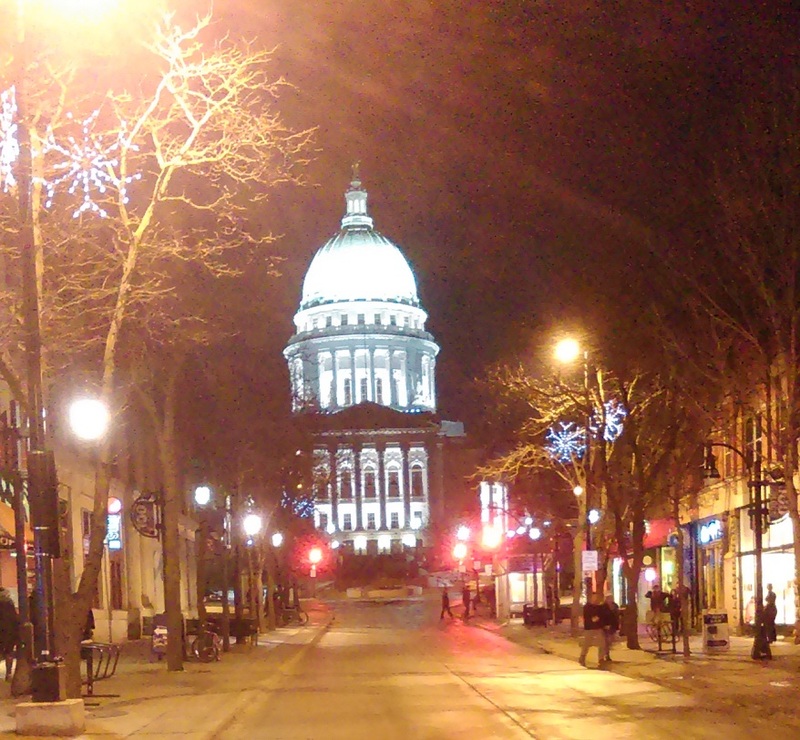 Madison at night. Photo by Bill Tierney-Bedord. All rights reserved. Bill recently attended Comic-Con with a friend. He has a bunch of pictures from it. Maybe I’ll get him to do a guest blog soon!